CB419A HP Laserjet 1018 Printer - Refurbished with 3 months Return To Base Warranty & Working Consumables. The HP Laserjet 1018 Printer is as good as buying new as all worn parts are replaced. This saves you up to 50% off the price of a brand new printer. We are confident that you will be 100% satisfied with your HP Laserjet 1018 Printer and are here to help with any support questions you may have. The Manufacturers part number/product code for this item is: CB419A. Enjoy HP LaserJet quality without exceeding your budget. HPs most affordable mono laser printer with reliable HP LaserJet print cartridge delivers impressive results at a very low price. Its sleek, compact design saves valuable desktop space. 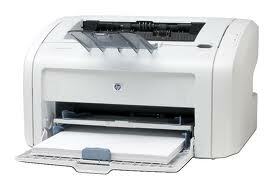 - Create high-quality documents with the affordable HP LaserJet 1018 Printer. It produces crisp, sharp results with reliable HP print cartridges and 1200-dpi effective output quality (600 x 600dpi resolution). - Perfect for a desktop, shelf or small work area, this printer’s sleek design lets you save valuable space. Enjoy fast results at up to 12 ppm and a fast first page out from PowerSave mode. - Focus on getting your work done with this intuitive laser printer. Simple to set up, use, and maintain with Hi-Speed USB 2.0 connectivity. Installation and replacement with the all-in-one HP LaserJet print cartridge is easy and convenient. - Perfectly priced for the home office and personal use, this mono laser printer delivers the proven reliability and performance to meet your professional printing needs. Minimum system requirements - 90 MHz Pentium, \n- 120 MB HDD\n- CD-ROM, \n- USB. 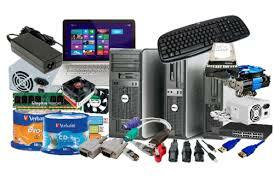 Compatible operating systems Microsoft Windows 98 SE, 2000, Me, XP (32-bit), Server 2003.